Dreamweavers Pebble Rugs are one of their best selling ranges. The deep and super soft polyester fabric not only looks fantastic, it also offers an inviting and cosy surface to relax on. Oozing in warmth, comfort and style, it’s easy to see why this collection is one of their best sellers. With over 20 different colours, you’re sure to find the perfect rug to compliment even the most challenging decors! The simple but highly effect pebble design will blend and enhance any living space, don’t forget Pebble rugs are available in matching cushions too, or be ultra modern and mix and match colour-ways! 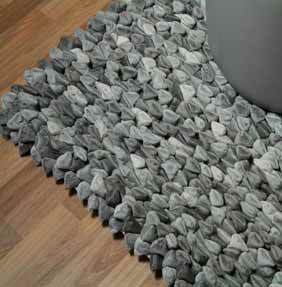 Pebbles rugs are designed for Light Traffic areas, each rug features a non slip backing.